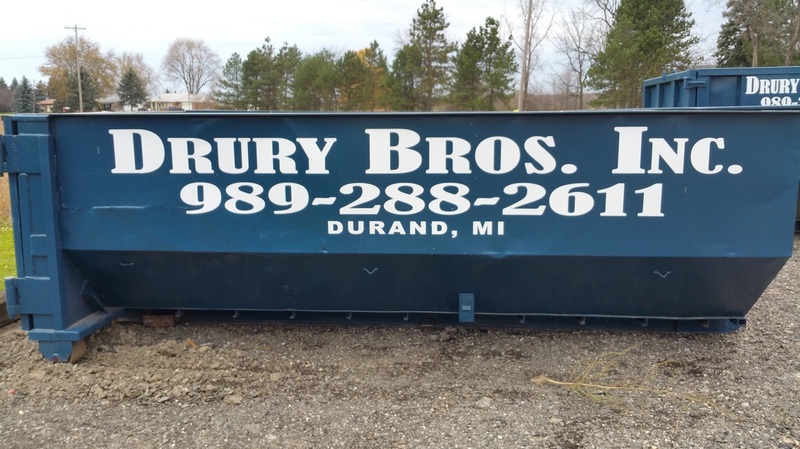 We are your new local source for dumpster rental and disposal. Servicing Shiawassee & Genesee counties regularly. We also offer other sourcing for compost & concrete disposal locally, which saves money! Other areas available upon request. 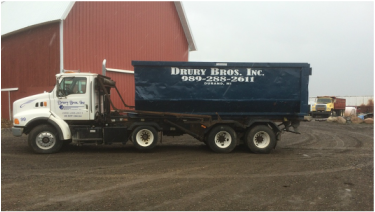 Drury Brothers offers special pricing for contractors. Will contain up to 12 cubic yards of waste or small basement or garage cleanout, up to 250 sq ft deck removal, 1,500 sq ft single layer shingle roofing, yard debris, and small kitchen or bath remodel. Will contain up to 17 cubic yards of waste or medium basement or garage cleanout, up to 300 sq ft deck removal, 2,000 sq ft single layer shingle roofing, or carpet replacement of a moderate sized home. 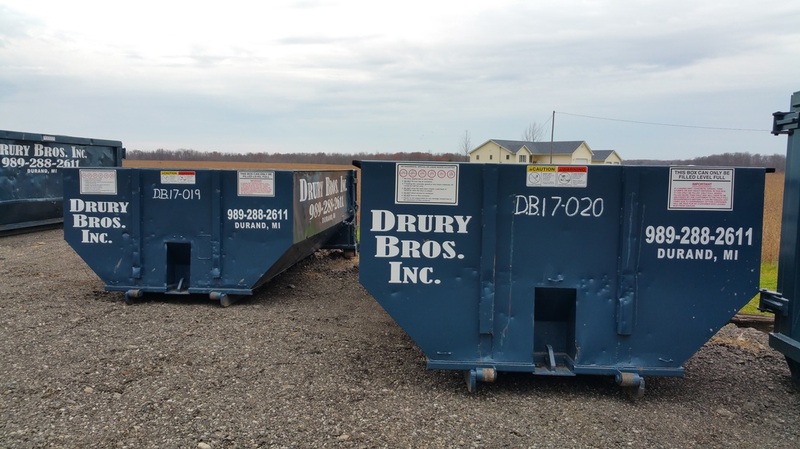 Will contain up to 25 cubic yards of waste or large basement, attic, or garage cleanout, up to 400 sq foot deck removal, 2,500 sq ft single layer shingle roofing, small home construction project, or demolition. Will contain up to 30 cubic yards of waste or major construction, demolition or building project, or 3,000-3,500 sq ft single layer shingle roofing.